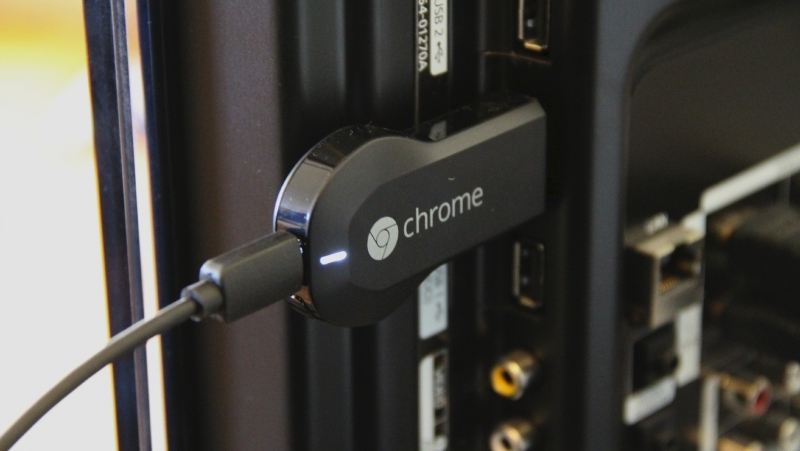 Chromecast is single-handedly responsible for spawning the HDMI media stick category. From the price point down to its core functionality, Google got nearly everything right with Chromecast. That said, it’s still not a perfect solution for all situations although a new accessory certainly helps matters. Up to this point, Chromecast has required a Wi-Fi connection. That’s not a problem for most, unless your router happens to be too far away from your television or the airwaves are simply too crowded (like in an apartment complex, for example). Google now offers a solution – a wired Ethernet adapter. The powered accessory plugs into the USB port on your Chromecast. From there, you just need to run an Ethernet cable from your router to the power supply. It’s that simple. The adapter sells for $15. That’s not a lot of money but when you consider Chromecast is just $35, it may be hard for some to justify paying close to half as much as the dongle just so you can use a wired connection. Further, you’ll have to supply your own Ethernet cable as one isn’t provided in the kit. For those that have little problem throwing down $15, well, you’ll have to wait as the just-released adapter has already sold out. No word yet on when it’ll be back in stock or when it’ll be offered outside of the US.